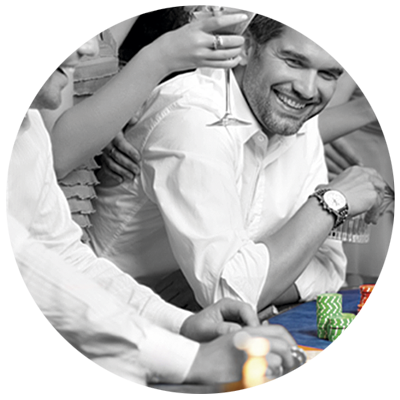 Responsible Gaming consists of a rational and sensible choice of gaming options, that takes into account the player´s situation and personal circumstances, thus preventing gaming from becoming a problem. Responsible Gaming involves an informed and educated decision by the consumers with the sole aim of entertainment and enjoyment, in which the value of the amount bet never surpasses what the individual can afford. Responsible Gaming is a leisure and entertainment activity and never interferes in social, professional or family obligations. The responsible player plays for fun and entertainment, not to earn money. They know that they could be lucky and win, but also that they can lose. Playing responsibly means taking decisions based on facts, and staying in control of the time and money that you want to spend. Playing responsibly means that the activity of playing is a pleasant and fun experience without the risk of damage to yourself, family and/or friends. Play for fun, not for money or to escape from problems. Do not seek or try to recover losses. Play to have fun, enjoy winning but also consider that you can also lose. Do not borrow money in order to play. Times of emotional crisis reduce self-control: avoid playing at those times. Do not allow gaming to affect your relationships with family and friends. Establish a time and money limit for playing. The only moderate gaming is fun gaming. You should not confuse responsible gaming with safe gaming. Do you know what problem gaming is? At the site we have provided a space for you, where you can inquire about doubts and share opinions. Do you want to find out some tips for playing in a more controlled manner?